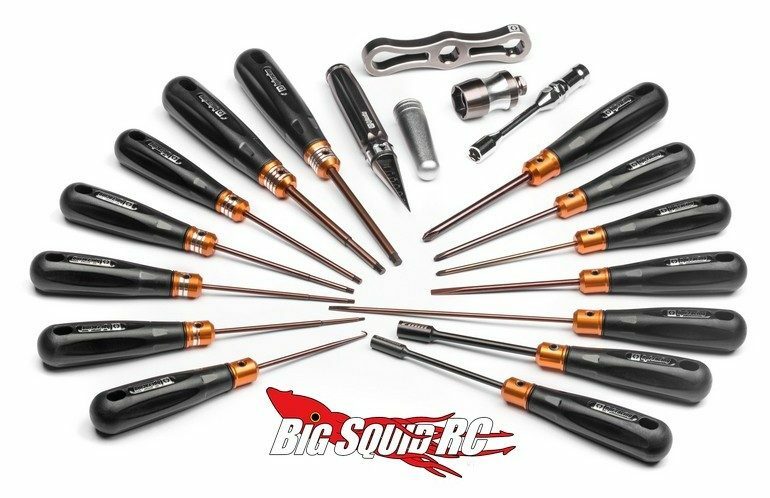 HPI Racing Pro-Series Tools « Big Squid RC – RC Car and Truck News, Reviews, Videos, and More! No matter how tough your truck is, or how much you upgrade it, you will need to wrench on it eventually. To make the task easier, HPI Racing has announced a full line-up of Pro-Series Tools. From screwdrivers to hex wrenches, the new Pro-Series tools have you covered. To get all the finer details you can hit up This Link over on HPI’s website or you can click Right Here for more HPI news on BigSquidRC.